Have you been dreaming for years of making your own pottery on the wheel? Join thousands of other students for fun and friendly online pottery lessons. 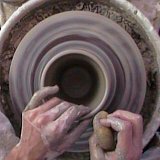 This site is LOADED with free tutorials for all levels, videos, tips and help on various aspects of pottery making. Whether this is your first time touching clay, or you are an experienced ceramic artist looking for advanced wheel projects, this site was created for you. "I just wanted to say thank you for all this great information. I am new to Pottery and I am learning everything via the internet and books. Your site is awesome and very informative." 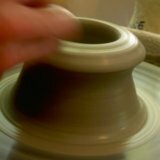 Have you ever watched someone making a pot on the wheel and felt like it was just magical? So much help for beginners and beyond is concentrated into this website so that you can create the pottery magic yourself. Learning to make pottery on the wheel is challenging, but the rewards are great. There is nothing like eating or drinking out of a bowl or mug that you've created yourself. Pottery makes amazing personalized gifts. It's the gift that everyone loves because it's handmade and can be used over and over. Maybe you want to make money with your pottery? What job could be better than one where you earn money doing something that you truly love? "I want to thank you for this website! I am a beginner at pottery but serious about having my own studio and teaching others one day. Your website has helped me answer so many question. Thank you again." Photos, videos and lessons to guide you. Tons of tips, tricks, and techniques. Begin by watching this SHORT VIDEO! This video introduces you to the process of throwing pottery on the wheel from preparing your clay to removing your pot from the wheel. Then the steps are broken down into 9 more easy-to-follow videos so you don't miss a thing. From there, explore the site to learn everything else you need to know to make your own beautiful pottery pieces. Here is the story of why I started this website. The first time I tried making a pot it was a disaster. I was in the ninth grade. I tried every day for five straight days. All I made were mud pies. It was so frustrating. It seemed impossible. I had always been good at drawing and painting. I couldn't see why this would be any different. The problem was that I had no one to show me how. Out of frustration I quit. I didn't try again for four years. I desperately needed a teacher. Finally, while in college, I signed up for a beginning wheel throwing class. There, I found an awesome teacher. Watching her throw pottery was magical. HUGE POTS sprang out of raw clay in her hands. She made it look so easy. I was inspired. Over the next several years she taught me to make more than mud pies. I learned how to make everything, from mugs to vases and teapots. Now I absolutely love making pots on the wheel. The important thing I learned is that anyone can make pottery with the right teaching and techniques. You don't need a college degree or expensive lessons. You just need a teacher. Inspired by my first teacher, I started teaching my own students ten years ago. Since then I have taught thousands of people how to make ceramics. Now, I'm here to teach YOU. Thanks for visiting, and Happy Potting. A collection of ceramic images, clay pot patterns, and images of how to make homemade clay pots; from clay coffee mugs to homemade clay teapots. Find cool pinnable pottery images with fun, funny and inspirational pottery quotes. Beautiful pottery photographs with great pottery making sayings. Pottery lists from The Top 10 Reasons Zombies Don't Do Pottery to 10 Essential Pottery Supplies for Beginners. An expanding compilation of silly and useful stuff. Search the Pottery on the Wheel website for any specific pottery word or words. Sign up for a FREE subcription to Pottery on the Wheel! Be the first to hear the latest pottery tips, techniques, and pottery videos..
Want to learn how to make clay, how to make ceramics, or find some new ideas for your clay pot projects? Steve's site is loaded with fun pottery resources. Building your own website has never been easier. I could barely turn on a computer 10 years ago, now I'm making money. What does it take to learn how to make pottery on the wheel? Five essential supplies, plus best free online lessons and classes on clay, throwing and buying equipment. Ready to make your own pottery on the wheel? Using easy to follow how to pottery videos in this online class I'll take you through a step by step beginning pottery lesson. Choose the right pottery clay to build clay pot projects on the pottery wheel. Clay types and colors, red, stoneware, white. How to make homemade clay recipe. Ceramic clay supply. WHERE can I make pottery? It's the burning question for many aspiring potters. This is your guide to setting up your own pottery studio on any budget in any location. The most exciting part of pottery is painting clay pots with acrylic paint or glaze. Kids of all ages enjoy ideas and instruction for designs for outdoor or indoor. Firing Pottery - From Greenware to Glaze. Best how to website for pottery wheel ceramics. Firing pottery is both exciting and challenging. Perfect your clay pot projects through firing. Best place for great ceramic coffee mugs. 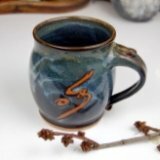 Shop for small or large pottery coffee mugs, cups, and travel mugs, or learn how to make your own. 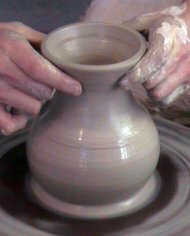 Once you have mastered the basics of wheel throwing it's time to stretch your skills with some more interesting clay pot projects. Learn mixing bowls, goblets, bird houses, and large coffee mugs. Looking for some new ideas for your next pottery project? Look no further. Here are some great clay pot patterns to inspire your work. Free clay pot patterns, clay pot project ideas, tips, and help. Free online classes and lessons. Lots of fun, easy pottery designs to help you find new inspiration. An eclectic collection of pottery tips and techniques. Includes ideas for creative clay pot people, the history of ceramics, pottery magazines, and ceramics molds. Review coffee mug tree prices and designs. Stands made from iron, steel and wood. Countertop stands, wall mounted, hanging and expandable rack. Large and small. Homemade Clay - FUN, EASY, AFFORDABLE! Easy recipes and projects for homemade clay that you can make at home with ingredients in your kitchen. No-bake and oven bake recipes for kids crafts. Buy pottery supplies online. Find wheels, clay and tools for sale at the Pottery Supply Store. Ceramics, art equipment. Find Shimpo and Brent electric pottery wheels. Find the best new or used pottery wheel for sale. Get the help you need to buy pottery wheels for kids, beginners, new or used. Read pottery wheel reviews. Electric kilns, wood fired, gas or raku kilns. Find free info about ceramic kilns. Kilns for sale, reviews, temperatures, getting started using a ceramic kiln. Making pottery requires a lot of equipment. Sort through various ceramics supplies quickly and easily here. Pottery equipment tips and advice. Looking for the best pottery and ceramics magazines for your studio or as a gift? Buy subscriptions to popular publications like Clay Times and Pottery Making Illustrated. But ceramics and pottery supplies online or locate a store with ceramic art supplies near you. Find supplies from anywhere; Seattle, NYC, Houston, the Midwest, Vancouver. The right tools at the right price can be hard to find. Get pottery supplies that suit your needs or learn how to create your own clay tools. Learn how to use, build, buy or search for a pottery kick wheel for sale. Plan for your kick wheel design idea. Learn about a brent kick wheel kit. Review potters wheels. Buy or review a Shimpo, Brent or Clay Boss electric pottery wheel. Reviews of potters wheels for sale, for kids, beginners, used wheels. How to... buy, build, do, glaze, paint, fire, throw or learn making pottery. Answers about making pottery, clay, glazing, painting. Equipment reviews, ceramic supplies, wheel lessons. 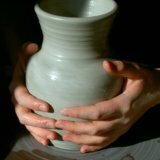 This is a collection of shortcuts, tips and creative techniques to help make learning pottery easier and more fun. Learn about making pottery from other potters. Get a Free Artist's Listing. Display photos of your work for free and learn pottery making tips from other potters. Stay up to date with The Pottery Wheel Blog. Wheel throwing tips, pottery supplies and projects, clay information, firing kilns, ceramic glazes, clay pot designs, lessons and equipment. Add your 2 cents to Pottery-on-the-Wheel.com. Contribution comes in many forms. If you have 2 cents, 2 dollars, 2 inspiring photos, or 2 words of inspiration you can make a difference. Welcome to the sitemap for pottery on the wheel. This is your gateway to ceramics tools, supplies, equipment, kilns, wheels, clay and online lessons. Buy, review, shop for Clay Boss pottery wheel online. Speedball Creative Industries builds the Clay Boss and Big Boss, among best electric wheels with Brent and Shimpo. Find links and reviews for the 3 best online pottery wheel games. You've heard of Let's Create Pottery the game app, links to that and FREE online pottery games! Find biographies of pottery artists and view photos of their pots. Create your own artist's page to share with friends or customers. It's quick, easy, and FREE.